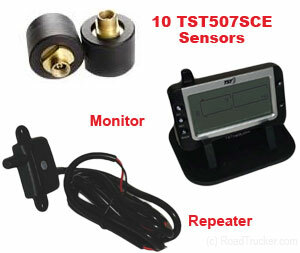 Truck System Technologies 507SCE Trucking Tire Pressure Monitoring System w/10 tire sensors for tractors with duals, RVs or Tow Vehicles. 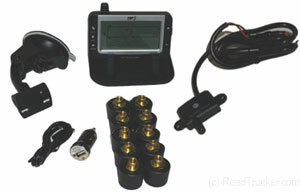 Expandable to 36 tires, the TPMS includes a Trailer Exchange Repeater for easy 1 touch drop and hook trailer exchange. 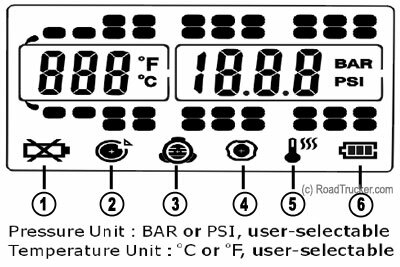 The TST507SCE10 features a large easy read and programmable display that immediately warns the driver that preset temp and pressure settings have been reached.